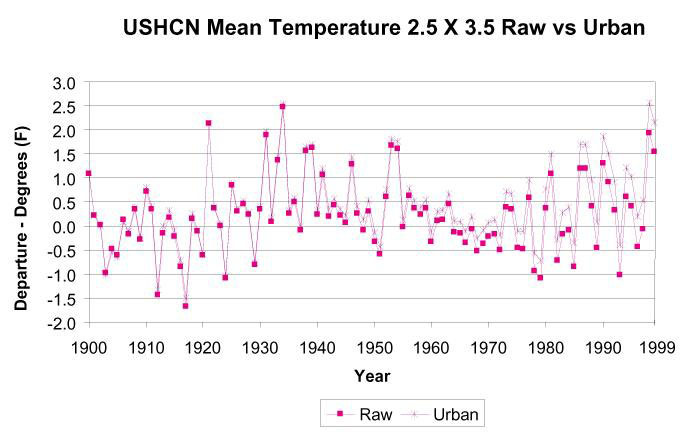 This chart from http://cdiac.ornl.gov/epubs/ndp/ushcn/ts.ushcn_anom25_diffs_urb-raw_pg.gif shows the amount of adjustments applied to the USHCH data sets. 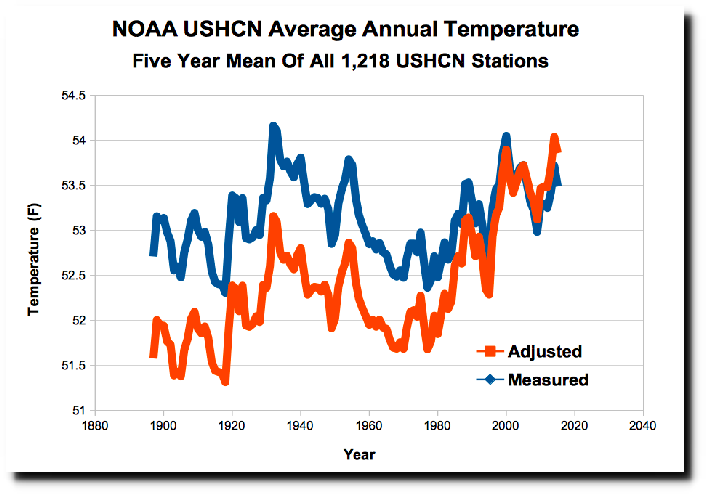 NOAA explanation of adjustments. 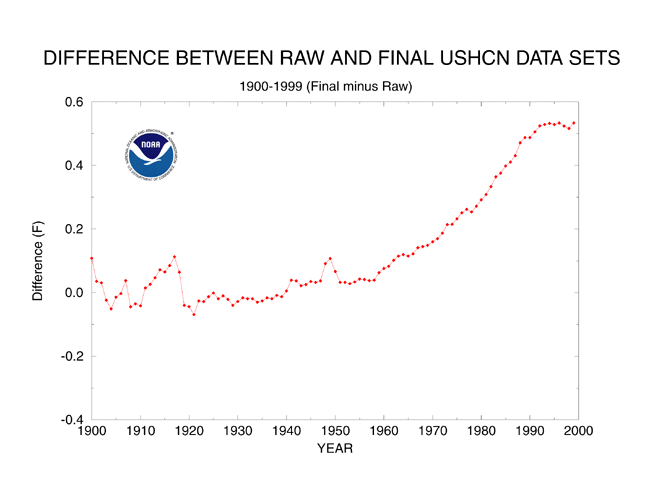 So large that unadjusted data shows cooling. 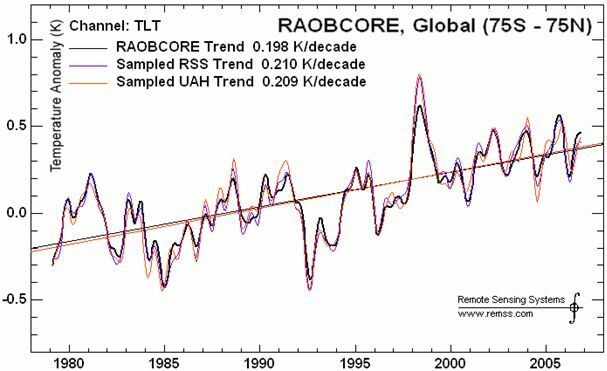 So what do the raobcores tell us about the period before satellites started recording temperatures? 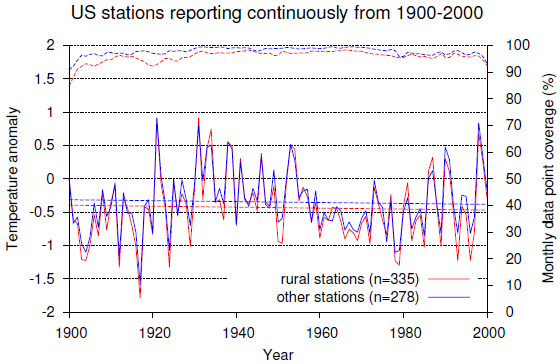 They make it clear that temperatures fell quickly from 1960-1970. 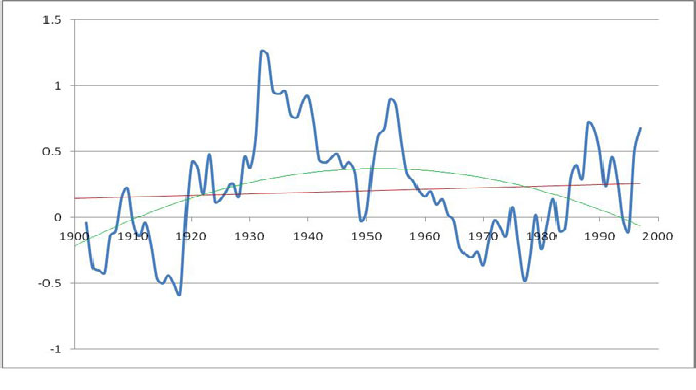 The decline in the original graph in National Geographic in 1976 is apparently backed up by highly accurate balloon data, and was based on peer reviewed data: Budyko 1969 and Angell and Korshover (1975). These two sets overlap from 1958 to 1960, and correlate well, so stitching them together is reasonable thing to do and it doesn’t make much difference which year is chosen from the overlap period (indeed any other choice makes the decline slightly steeper).